You must be able to identify the source of error by open the installation log file which was generated by Microsoft during the installation process. The log file is normally can be found at C:\Program Files\Microsoft SQL Server\90\Setup Bootstrap\LOG\Summary.txt. However, if you have installed them at different path, you must change to your path accordingly to look out for the log file. The log file will indicate the installation status for every SQL components. If you are not sure what the next step after opening the log file, please do email it back to us at support@estockcard.com. Below table is the common errors that encountered and how to fix them. Follow the instruction on the link. Then once you have done, run the setup procedure again. Remove the MSXML 6.0 Parser and related components (with MSXML 6 *. 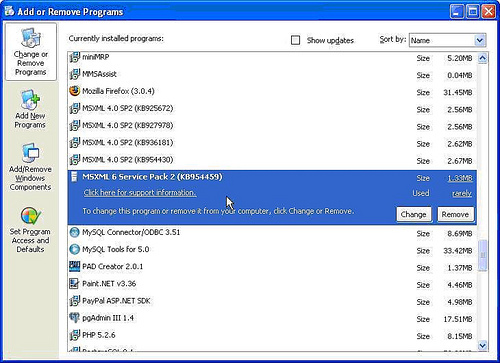 *) from Add and Remove Programs at Control Panel. Please refer to the following screen snapshot. 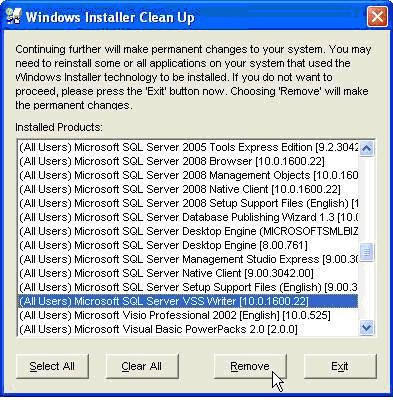 If you failed to remove them completely, you can download Windows Installer Clean Up from http://www.eStockCard.com/Software/msicuu2.exe. Re-run again the install_eStockCard.exe to perform re-installation. You are recommended to run the installation one more time. Our experience reveals that this error can be fixed after re-installation. i. 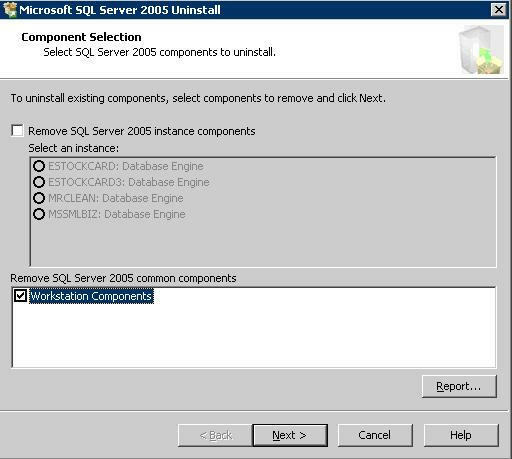 Choose to remove SQL Server 2005 Common Components ONLY. 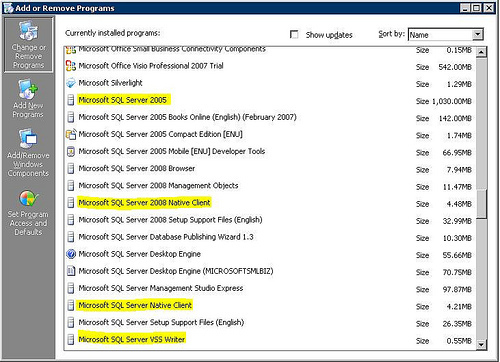 b. Microsoft SQL Server 2005 Native Client. Upon the completion of Step 2, reboot your computer and re-run install_eStockCard.exe again. It should solve the problem. If you’re still facing and encountering similar or more specific issue, you may contact us at support@estockcard.com.